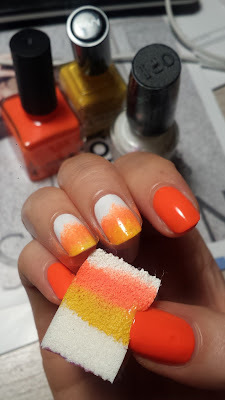 These candy corn nails were very popular on Instagram during Halloween and of course I had to make some myself, especially I got my hands on some real candy corns for my photos! 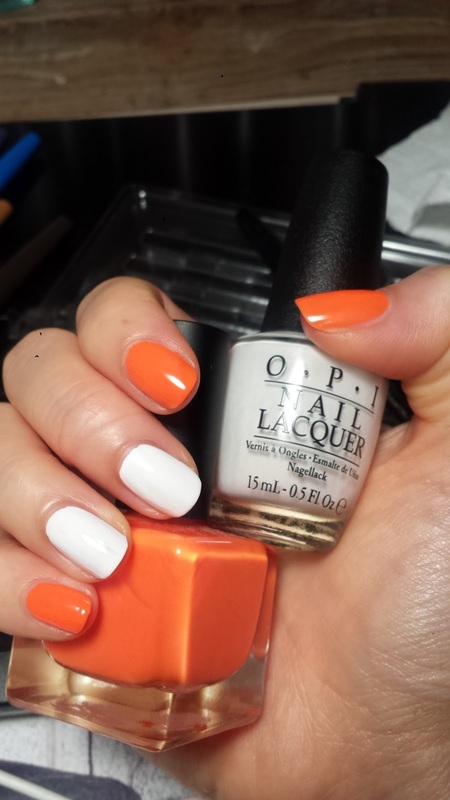 I first painted orange and white as the base. 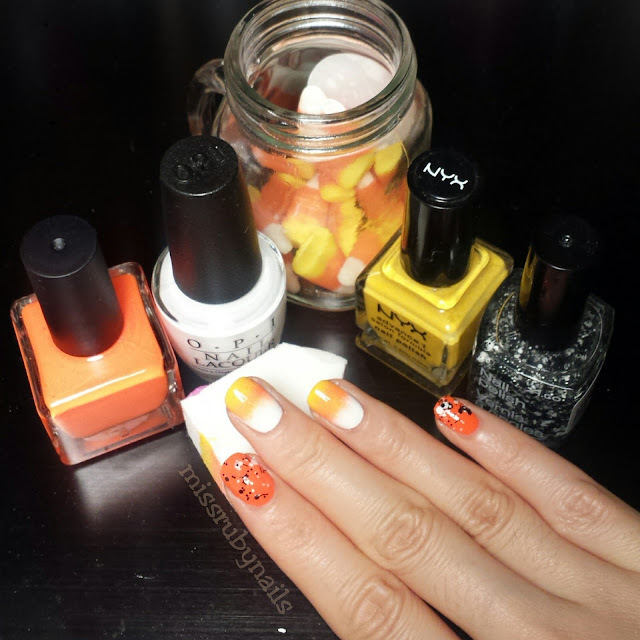 On the 2 white nails, I did the gradient color by sponging on orange and yellow polishes. 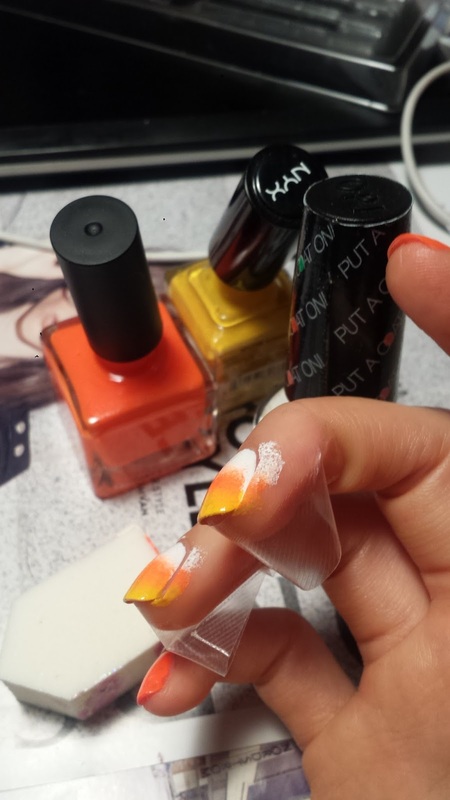 As usual, I used tape to protect the skin around the nail so I would have minimal clean up to do. 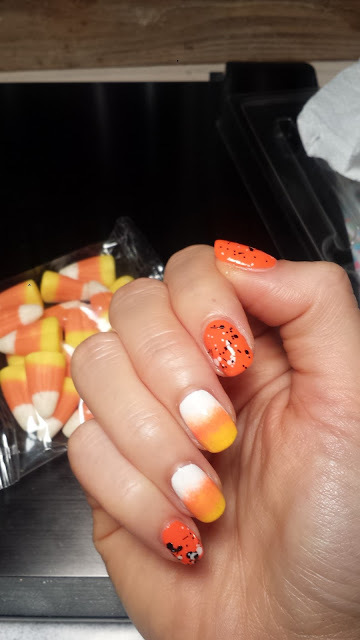 On the orange nails, I topped them with a chunky black and white glitter. After applying top coat and we are done! 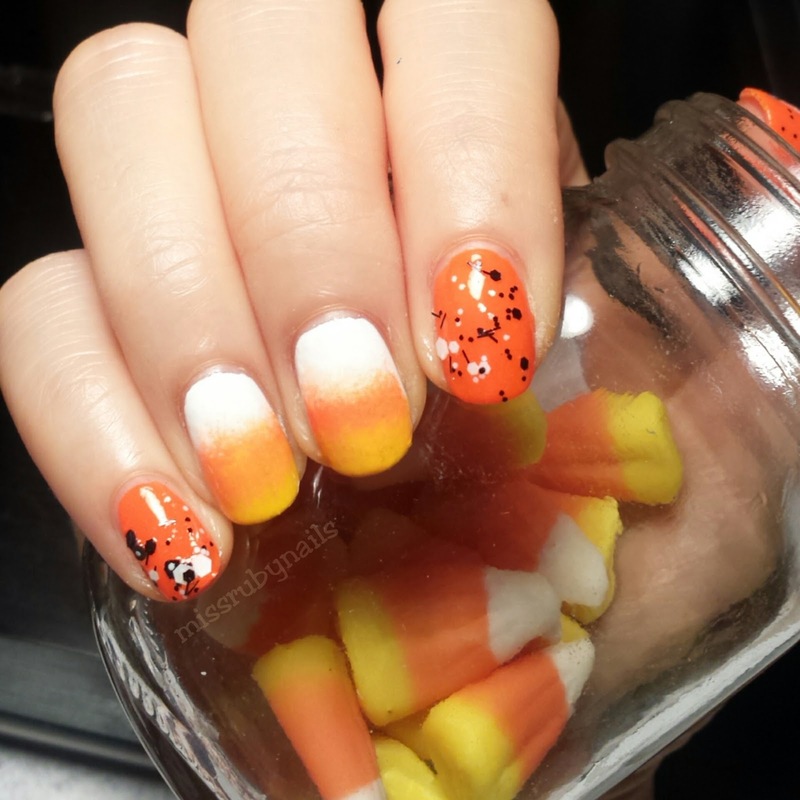 Quick and simple!